I’ve always been a big fan of Vichy as a brand, for both their make up and their skincare. The packaging, the product, even the price all goes towards ticking the boxes when it comes to what I look for in cosmetics brands. French pharmacy products seem to have exploded on to the UK market last year, but out of the bunch that people have hyped, Vichy is by far my favourite. The Vichy Idealia range is probably one of my favourite that they’re released so far. I absolutely love the Vichy Idealia Life Serum, which acts as a great primer on a daily basis, adding a radiant yet subtle glow under make up. 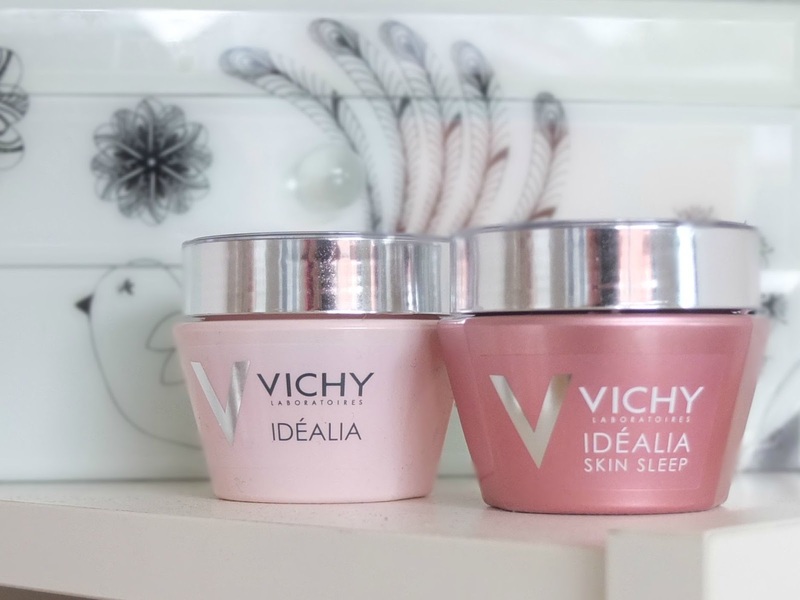 Vichy Idealia Skin Sleep is a product to be used over night (hence the name, duh) which gives the aesthetic benefits of a jolly good nights sleep. Basically, it’s beauty sleep in a jar. With a thick, creamy formula, the inside of the cardboard packaging it comes in gives hints and tips for applying Vichy Skin Sleep before bed. Massaging across the T Zone and in circular motions around you face, it’s a relaxing process from start to finish. 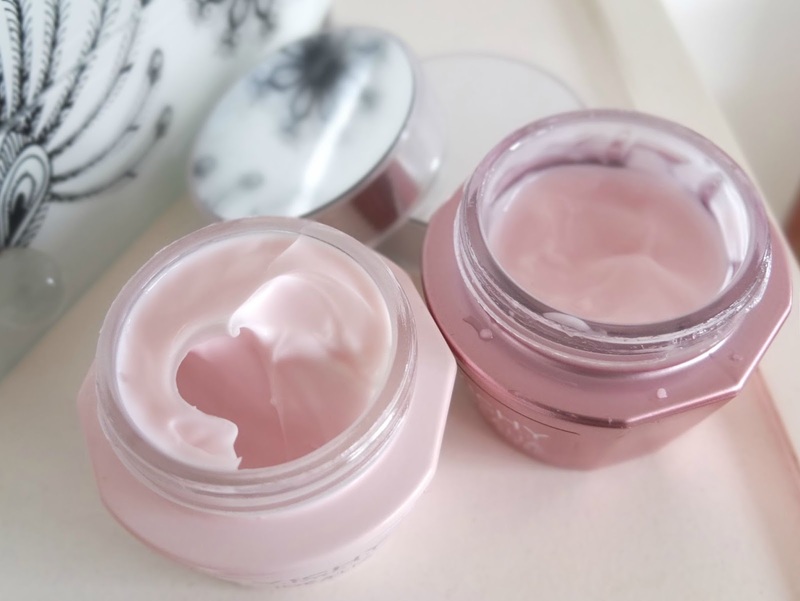 With a silky texture it effortlessly melts in and despite my first worries that it would be sticky and sit on my face during the night (and ultimately transfer on to my pillow), it doesn’t. Once applied your face just feels soft to the touch without a layer of product sitting on it. Although the hydrating aspect of Skin Sleep doesn’t seem to be overly impressive, it still makes my cheeks really supple to the touch. I’ve only been using it for two weeks so far though, so once my skin gets used to using a cream over an oil to moisturse in the evening again, I will probably see better results. Another new Vichy product I’ve been trying out is the Vichy Smoothing and Illuminating Cream, which I hadn’t seen before, but is apparently one of their best sellers! Sorry it’s gone under my radar so far Vichy! Anyway, this has similar benefits to the aforementioned Idealia Serum, but is a gel-cream formula instead of a more lucid liquid. Used daily under my primer as a moisturiser, it’s a lovely base for my make up and once again, leaves no sticky or tacky feeling to the skin despite being a gel based cream. Now I’m running low on my Ole Henrikson Day Cream, I’ve needed something similar to replace it with and although this doesn’t give the overly dewy radiance the Ole Henrikson cream does, the other benefits I’m starting to see are a slightly smoother complexion and my spots seem to be slightly clearer. Although, as with the Skin Sleep, it has only been two weeks so I expect to see continued results over time!